Rumble / Entertainment Life - Now that Gigi Hadid and Zayn Malik have SPLIT...cue the post breakup drama. 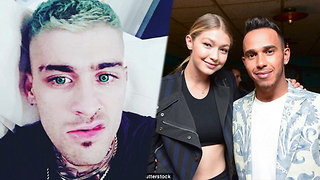 Zayn reportedly is NOT doing well now that him and Gigi have gone their separate ways...while Gigi just wants a relationship like her sister Bella and the Weekend have. And I have just the perfect candidate for you Gigi...Mr. Noah Centineo because has been dubbed the ’Internet&apos;s boyfriend” and you have to hear his thoughts on it. PLUS...I need to fill you guys in on Halsey because she’s someone Gigi could look to for advice as it appears she has rebounded since her recent breakup and she’s falling hard. I’m talking about some of your fav young celebs right now so stay tuned. OFFICIAL: Gigi Hadid and Zayn Malik BREAKUP! Zayn Malik On DOWNWARD Spiral Post Gigi Hadid Breakup! Perrie Edwards RESPONDS To Gigi Hadid Zayn Malik Breakup!